Sku number, 8305, from Globe Scientific is a Round Silver Weighing Dish. 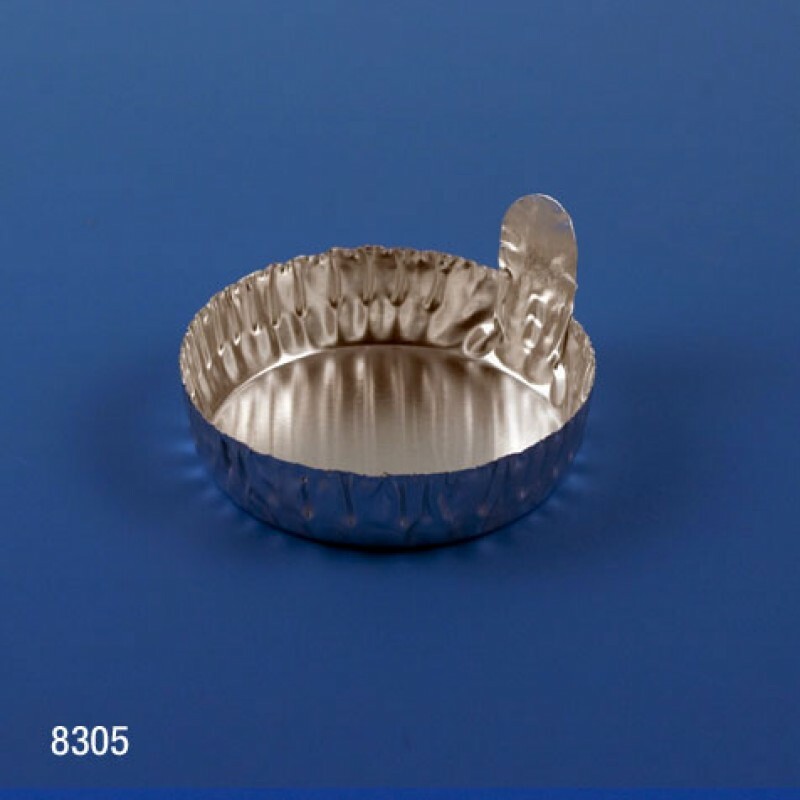 This aluminum weighing dish can also be used as an evaporating dish in the lab. This specific dish features a smooth side without a tab. This weighing Dish comes in packages of 1000.